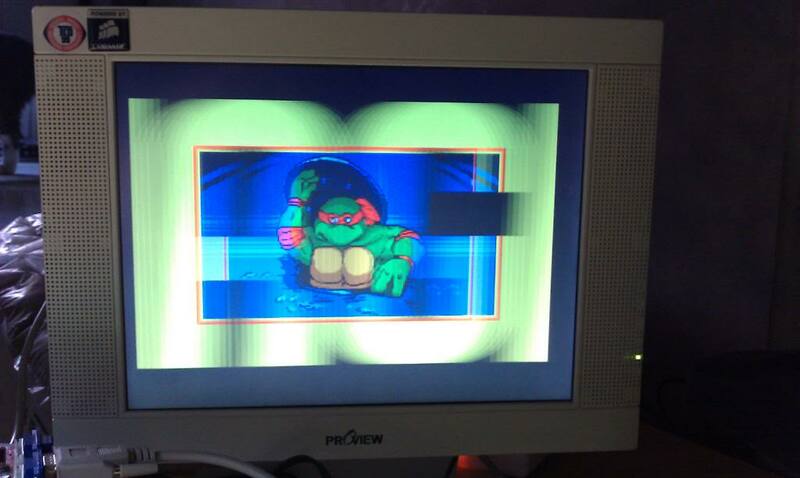 Got this TMNT2 board today cheap because it had a fault of slight graphics corruption. The intro sequence was a bit of a mess and was very responsive moved. 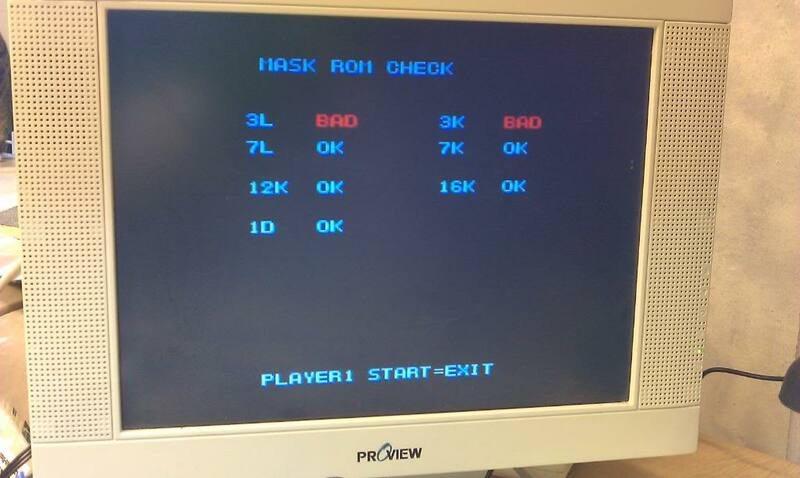 I ran the built in MASKROM tests and 3K and 3L came us a BAD. 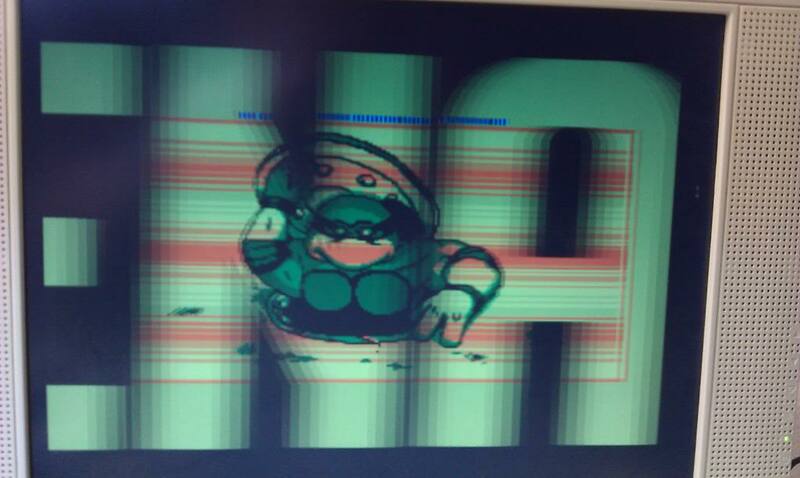 As one of the ROMs was socketed I removed it tried to dump it, I got a positive match from ROMIdent. 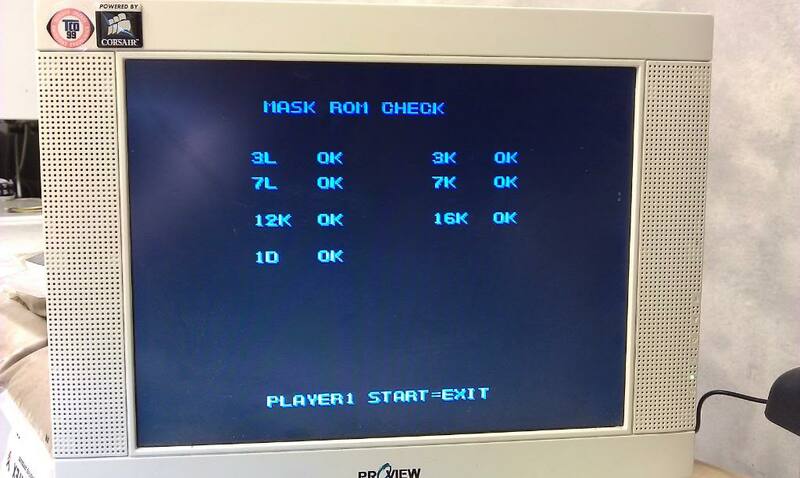 As a little test I powered the board up without the ROM in and ran the test again, this time 3K showed up as BAD (it was removed) but 3L showed as GOOD. 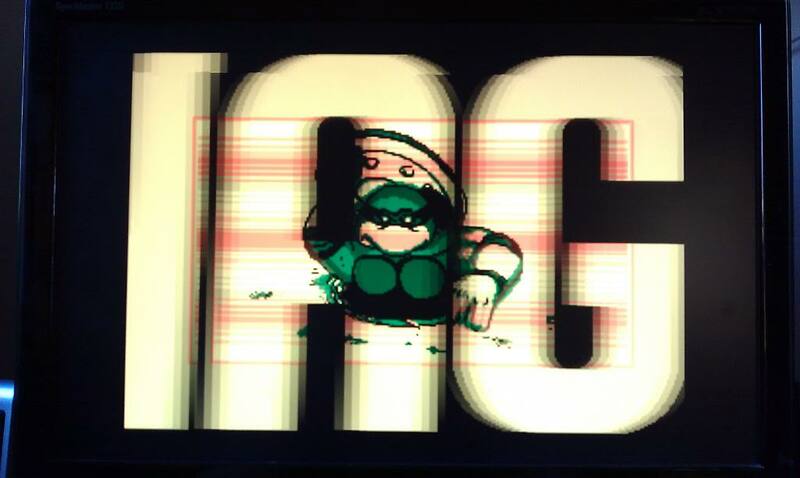 I then corrupted the same ROM file in MAME and ran the MAME version, I had managed to reproduce my fault. 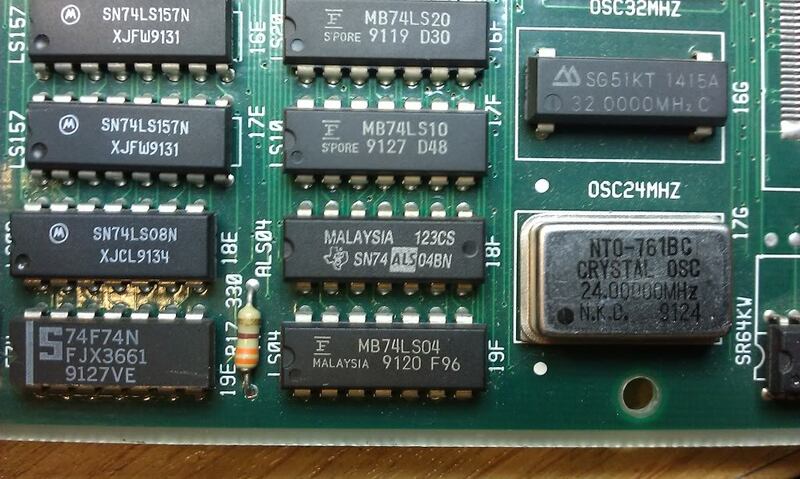 After much probing and head scratching I found that the enable line of ROM 3K must have a break in it under the solder mask of the PCB and was quite intermittent. This line is “active low” and when it goes open circuit (or dead) the chip enables and corrupts the data being sent as both 3K and 3L are sending their data together. I traced the line back to its source which was pin 8 of a 74ALS04 at location 18F. I have ran a link from here to pin 12 of the ROM and the board now plays perfectly and passes all tests.